BAJHANG, July 22: Landslide on Saturday killed four people including three from a single family in Bajhang district. In another incident, a 10-year-old girl was washed away by a river. The girl has been feared dead after disappearing in the Seti River. Ujali Devi Thapa, 45, her daughter-in-law Maheshwari Thapa, 32, and Maheshwari’s six-year-old son Krishna Thapa from Bayana village of Khaptad Rural Municipality-6 are among the deceased. Another deceased Mangal Thapa, 20 is their neighbor. 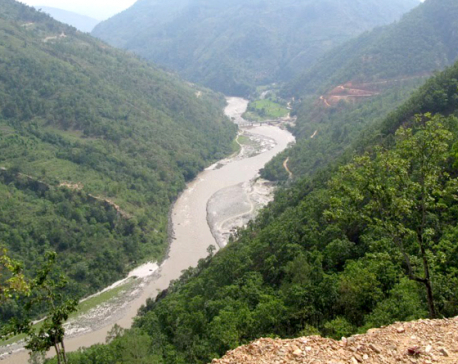 Susmita Oli, 10, of Jay Prithivi Municipality-6 was washed away by the Seti River as she tried to pick a slipper being carried by the river, according to the District Police Office, Bajhang. She had been living at her maternal grandparents’ home since three months. Police further stated that Kabiraj Thapa, 5, and another little boy Rikesh Thapa from Jay Prithivi Municipality-6 were severely injured in landslides. According to police, those killed in the landslide in Banaya village were caught off-guard by the natural disaster while they were on their way to home. The incident site is in a narrow lane near a temple in the village. Even the temple of Lord Shiva had slipped along with the landslide. Maheshawri Thapa was a community health volunteer. “It was so unfortunate that they died due to landslide. The entire village is mourning,” noted Prem Thapa, ward member of Jay Prithivi Municipality-6.